This passage portrays Jesus in prophetic mode in both sections. The first section is a teaching, which brings to a close the difficult disputes in Mark 12. The second story is a contrasting illustration of the same teaching. Formally, the stories are linked by the mention of the widow. The link however is not simply verbal because, while the teaching deplores external show and hypocrisy, the story extols genuine sincerity of heart. Earlier in this Gospel, Jesus had contrasted a narrow, legalistic practice (Mark 7:2-7) with the true moral intent of the divine Law (Mark 7:8-13). The first story is a straight teaching. In prophetic manner, Jesus names the temptation of all who are “profession-ally” religious: self-importance, greed, hypocrisy. The second story is a chreia, a story with a direct observable point. The contrast is not between material giving and spiritual giving: both the widow and the very rich give materially—and the Temple needed support. The contrast lies between the attitude (self-glory v. gift) and the cost of the donation (relatively little v. “all she had to live on”). On the amounts mentioned (lit. a chalcon, two lepta and a quadrans): Sizeable transactions were made in the denomination of the talent (Matt. 18:24; 25:14-28) or the mina (Luke 19:13-25). The debtor of Jesus’ parable owed alternatively 10 thousand talents (Matt. 18:24) or 500 denarii (Luke 7:41). The smaller denominations, the chalkos, lepton, assarion, and quadrans, were used in more daily affairs, for which a purse would be carried (Luke 22:36). Monetary exchange was required to accommodate the variety of coinage, not in the least for cultic and sacerdotal purposes (Matt. 21:12; Mark 11:15-18; John 2:14). Luke judges the Pharisees to be “lovers of money” (Luke 16:14). The Euro one cent coin is called a lepton in modern Greek—an illustration of the value intended. The Temple was a hugely important part of Israelite religion and the support of the Temple was a religious duty. The Temple reconstruction started under Herod the Great and continued all through Jesus’ ministry. It was almost completed only very shortly before its complete destruction by the Romans in AD 70. Verse 38 Scribes were the scholars who studied and interpreted the Law. The way the Greek is written, it can be “the scribes who do this” rather than all the scribes. The previous story involved a sincere scribe, even if an exceptional one in Mark’s overall vision. Verse 39 Social advancement is often a “benefit” of higher roles in any religion and, of course, hard to resist. The long robes are most likely festal robes which scribes put on every day to show their piety. There may be a contrast between the Christians of Mark’s day and their contemporary scribes: the Christians did not meet in synagogues nor on the Sabbath. 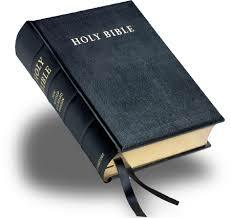 Verse 40 This is a very harsh condemnation, given that it judges the piety to be false and, in a way, empty. The expression “for appearance sake” (prophasei) can be positive (the real reason) or negative (falsely alleged motive, pretext, ostensible reason, excuse). In our story is it clearly negative. But which aspect does it govern? It could mean that they cover up their avarice by piety. It could also mean that they facilitate their avarice by piety. It could also mean that their prayer is entirely insincere. In the context here, it means that the piety is done in order to take advantage of vulnerable widows. As is well known, widows at the time had no inheritance rights and were dependent upon family or community welfare programmes. The care of widows is regularly insisted upon in the Hebrew Bible and the prophets fiercely condemn the neglect of widows. In that context, this story constitutes a severe judgment, but fully in line with the prophetic tradition. Cf. Lk 11:37-52 and Mal 3:5, both above. Verse 41 The temple treasury appears rarely in the NT. The widow who gave all she had (Mark 12:41-44 par.) put her money into the gazophylakion, meaning “contribution box or receptacle,” here apparently in or near the Court of the Women (cf. John 8:20). According to the Mishnah, there were 13 such trumpet-shaped receptacles, seven for various required offerings and six for freewill offerings. The administration of the treasury by this time had passed to the chief priest (Matt. 27:6), a fact confirmed by Josephus (Ant. 11.5.2). The fact that we know the donations were large tells us of the ostentation. Verse 42 In a patriarchal society, a widow is a defenceless female, being without a male to protect and support her. Verse 43 Apparently not, because she puts in so little. But, at another level, she puts in much, much more. Verse 44 So, the principle is not the amount but the attitude of heart. “All she had to live on” sounds precarious or even foolish. Literally in Greek, it says “all her life/living” (bios). 1. The scribes are presented as ostentatious and devious, acting more out of self-interest than the love of God or people. There can be a element of self-interest in each of us. Perhaps there have been times when you have been disturbed by glimpsing in yourself ‘other motives’ in your doing good. Recall when you were awakened to this fact. Where was the good news for you in these experiences? 2. In material terms what the widow had to offer was very little. Recall when you felt yourself called to give and gave even though you apparently had very little. Perhaps you have had the experience of finding that what you thought was little and insignificant meant a great deal to another person. Recall some of those moments. 3. The widow ‘gave everything she had, all she had to live on’. In doing so she placed herself in a very vulnerable position, trusting that things would work out. Have you ever found that what seemed a generous but reckless giving of yourself proved life-giving for yourself and others? God, our provider you are the orphan’s hope and the widow’s bread. Strengthen our faith, that with simplicity of heart we may come to trust in you alone and hold back nothing in serving you. Money can easily distort our attitudes and values. It is tempting to react more warmly to those who give more generously—we all do it. It is easy to overlook the motive behind giving and focus, not on the giver, but on the gift. We do have the expression that it’s the thought that counts. Usually, though, such proverbial wisdom is employed to help me/us be consoled when some expectation was not realised. Thus, this apparently consolatory thought acknowledges the tendency to the opposite, the attraction to the gift as such!! The Lord, however, reads our hearts.